Running a restaurant business can be like spinning plates; you put time and attention into one aspect of your business, but neglect another one. With this in mind, would it not be better to integrate all aspects of your business into a single, easily manageable system? This is where, SRS EPoS LIVE really comes into its own with real time collaboration of SRS EPoS LIVE Service to manage your restaurant and online business from one place. This versatile bit of technology brings your customer database, daily POS operations, online business and timely sales reports together using our secure Live server, allowing you to complete any task you want with just a few touch. 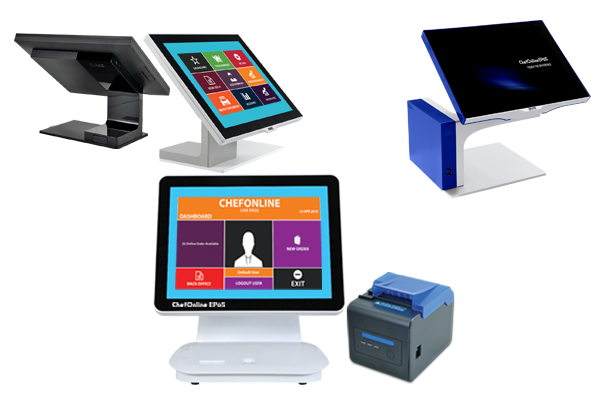 Whether you want to reward your customers with bonuses or discounts, print out sales slips and account invoices, or simply monitor your restaurant’s online orders and web traffic, our SRS Cloud EPoS system makes it convenient. Our system is easy to use, and we provide training on how to use it effectively and efficiently. Once the system is up and running, it requires zero maintenance and will update itself automatically, leaving you free to oversee the administrative side of your business without the associated headaches. The system is compatible with most retail devices and networks, meaning that you will not need to invest in new hardware to get started. Once you are underway, you will be able to access detailed and clearly designed sales reports, allowing you to keep track of your most and least popular products. As a business owner, the ability to adapt is key; if you know what is turning your customers on and what is turning them off, you can tweak your menu accordingly, and maximise your profits. Most importantly, our system is secure. Each employee can be assigned a password appropriate to their access level, while no unauthorised staff or users will be able to make transactions, view sensitive sales information or access customer data, giving valuable peace of mind to the business owner.